Dilating eye drops will be placed in your eyes to widen your pupils. This allows the doctor to examine your retina and optic nerve. 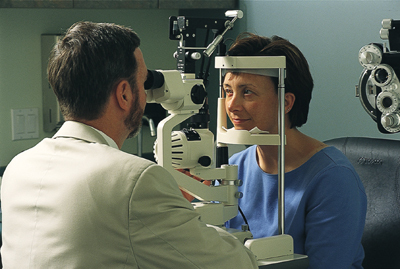 The doctor is able to look for signs of macular degeneration and glaucoma, as well as other eye problems. This test is done in all of our offices. Because your vision may remain blurry and your pupils dilated for several hours, we recommend that you have someone drive you to the examination.